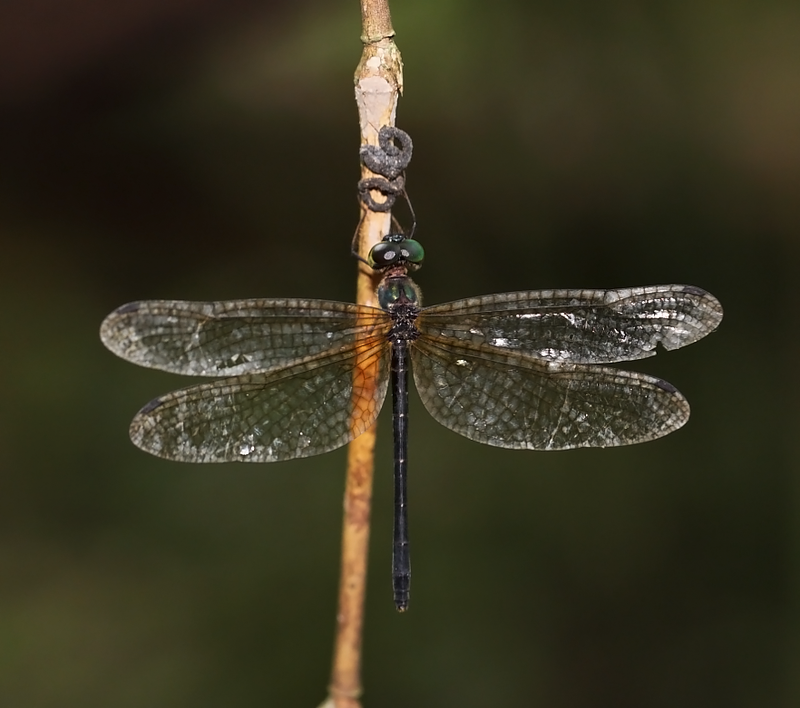 Idionyx yolanda is a small and lightly built dragonfly inhabiting forest streams and swamps in the nature reserves. 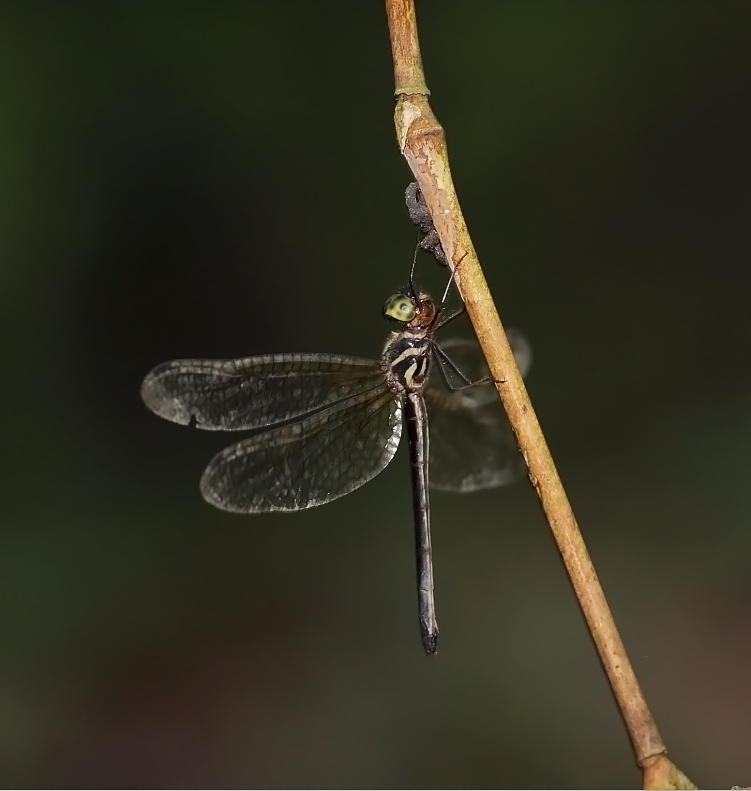 Although rare, it can be found in most forested areas such as Upper Peirce Reservoir, Upper Seletar Reservoir, MacRitchie Reservoir, and Bukit Timah Nature Reserve. 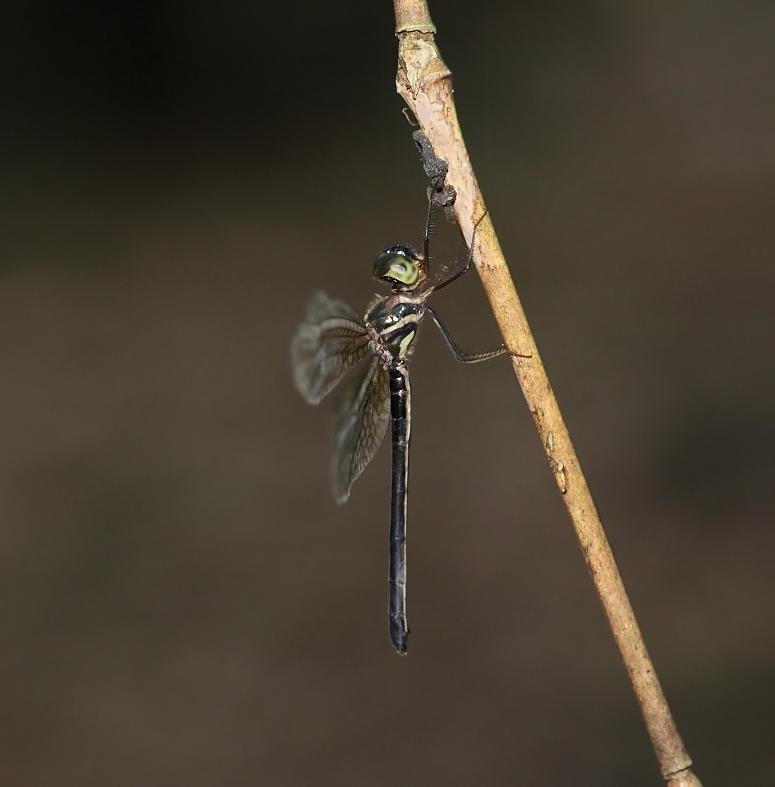 This female was found perching on a twig near to a forest stream at the Dairy Farm Nature Park. Female Idionyx yolanda. Side view. Very prominent yellow lateral band on it’s thorax. Green eyes and dark and thin abdomen. Dorsal view. This is an aged female.